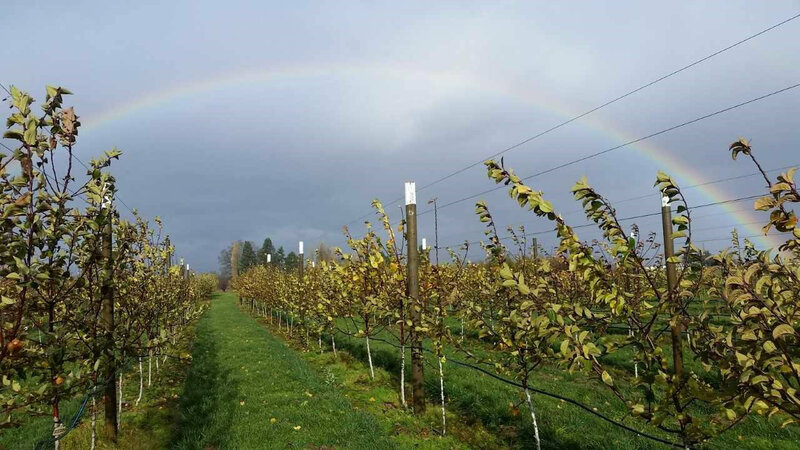 Managing a cider orchard is essentially the same as managing a dessert apple orchard. Whether you have an existing orchard of dessert apple varieties and use the culls to make cider or are growing apples specifically for cider, the key point to remember is that apples used for premium cider must have good internal quality; that is, they must be fully ripe and free of rot and other damage. External blemishes such as mildew, russet, or mild apple scab lesions are of little consequence in cider production. A key to ensuring good quality fruit for cider making is to harvest only fruit that is fully ripe. Trees that have too high a fruit load, or leaves that are unhealthy (somewhat yellowed or diseased) can have poor internal fruit quality. Since 1979, cider apple orchards have been established and managed at WSU Mount Vernon NWREC, and below are shared outputs.